Geospatial data access at unprecedented speeds and unmatched scale in a client and device of your choice. HiPER LOOK is a data access solution used to catalog, organize, and share large volumes of geospatial data and imagery via OGC compliant web services. An Encoder used to organize and optimize geospatial data from multiple formats. A Server which supports the following OGC Services: WMS, WMTS, WCS, and KML. 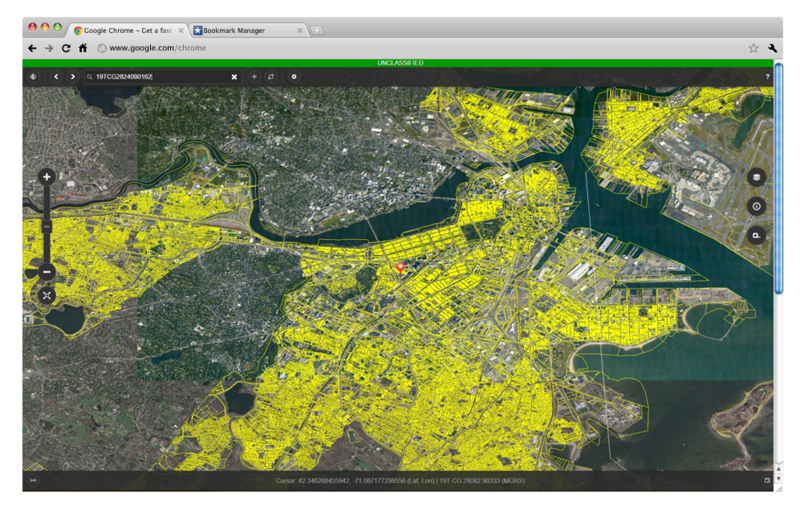 Accessible across a variety of platforms, HiPER LOOK® enables data visualization for massive geospatial datasets. 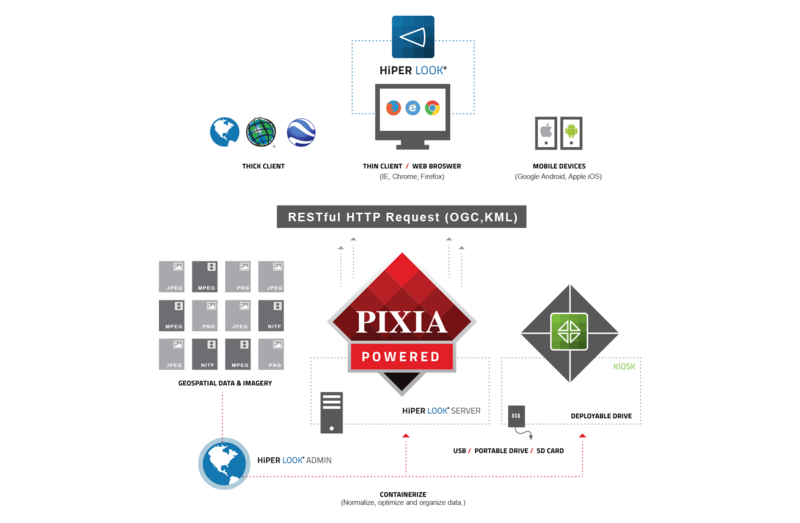 PIXIA makes it easy for any soldier, surveyor or emergency responder to access high volumes of geospatial data from any location. HiPER Look also provides the capability to web-enable your USB drive. 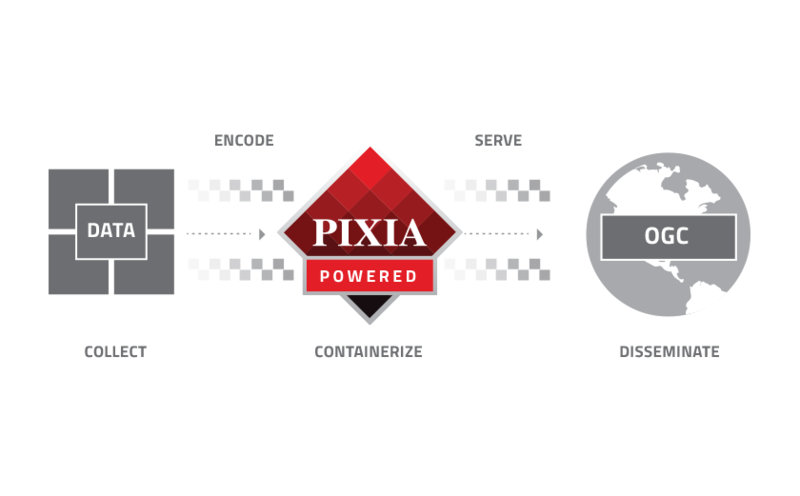 Spatial data is containerized using PIXIA technology and combined with a lightweight HTTP server that transforms a USB drive into a high performance data store. HiPER LOOK is a data-as-a-Service (DaaS) solution that provides applications and algorithms with fast and efficient access to massive quantities of geospatial data. HiPER LOOK provides a very simple interface that enables users to organize varying types of imagery, maps or terrain. With this technology, millions of individual files can be consolidated into single layers that are easily manageable. Accessible across a variety of platforms, HiPER LOOK enables data visualization for massive geospatial datasets. PIXIA makes it easy for any soldier, surveyor or emergency responder to access high volumes of geospatial data from any location.